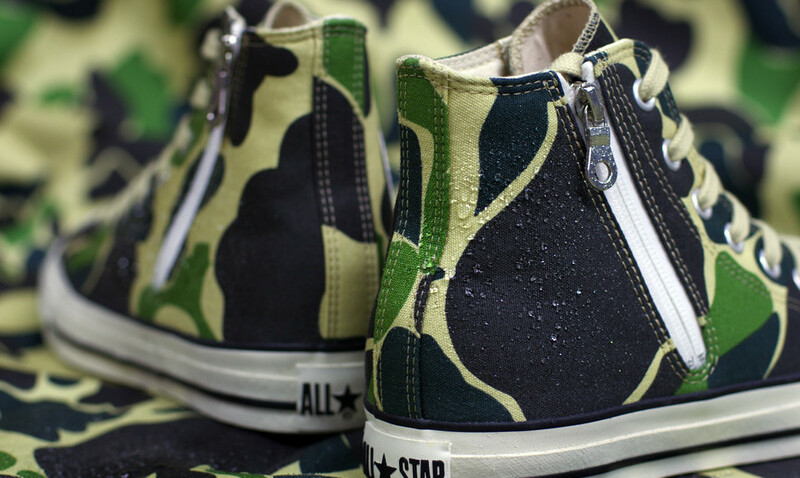 Tokyo's mita sneakers keeps their hot streak of collaborations going this summer with a hi-tech rethinking of the classic Chuck Taylor. 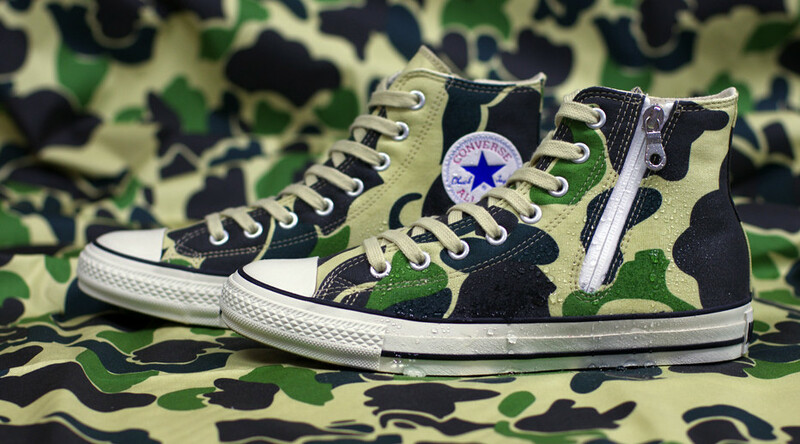 Tokyo's mita sneakers keeps their hot streak of collaborations going this summer with the new mita x Converse All Star TYO Custom Made Hi, a hi-tech rethinking of the classic Chuck Taylor. 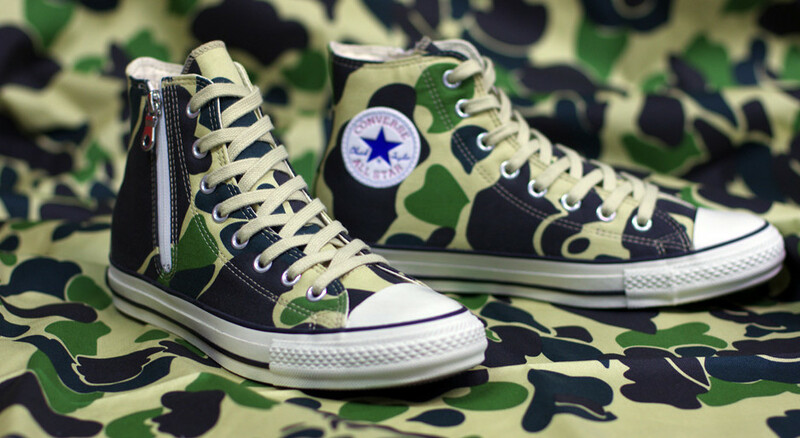 The TYO Custom Made Hi features a water-repellant "83 Camo" upper, additionally modified with a waterproof side zip. The liner uses Thinsulate material for thermal insulation, while a custom sockliner provides added comfort. Lastly, the toe cap is reinforced with a stronger rubber allowing for better use with bicycle pedal cages. 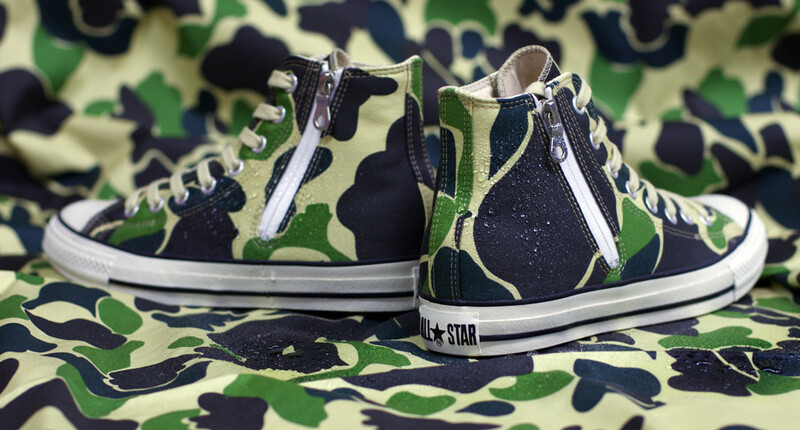 The mita x Converse All Star TYO Custom Made Hi drops tomorrow, July 6, at the mita sneakers shop in Ueno.